We have come to the last of our crochet flowers (well for now). But what better way to end than with Violet. Named after my wonderful Nan, my woolly inspiration, my how to be the nicest person you can be role model and bestest person ever! 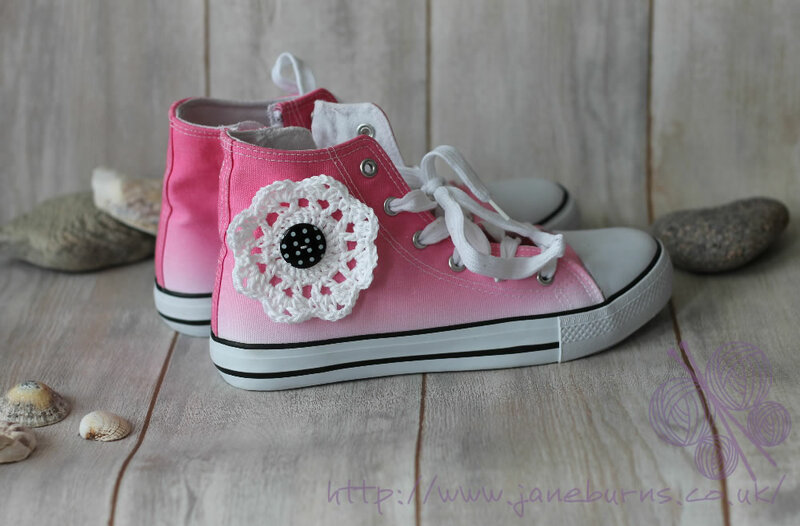 I hope you have been enjoying the weather and that some of you have had the chance to crochet yourself some flowers for your hi top shoes. As promised I have another freebie for you this week. 3mm crochet hook, 4ply cotton yarn and two 2.5cm buttons, sewing needle and thread. Using 3mm hook and 4ply yarn, Ch10, join into a ring with a sl st into first ch. Round 3: Ch1, *1dc into ch1 space, 1dc into top of tr; rep from * 15 times, ch1, sl st into top of beg ch1. Fasten off, darn in ends and block if desired. Simply pop over the button to secure onto the shoe. You can find the step by step photo tutorial for Vi here..
As always I would LOVE to see your finished projects on my Facebook page. So you have a pair of hi top shoes that are in need of a little personality. 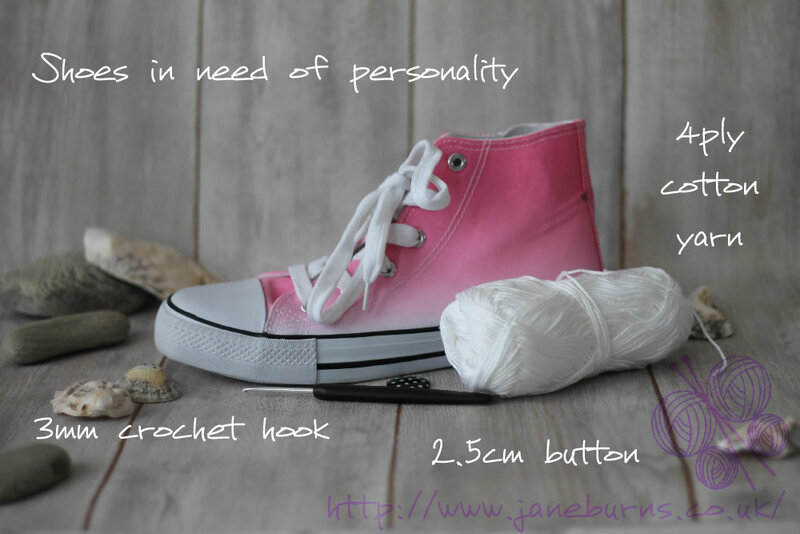 If you have a spare 30 minutes you can make yourself some interchangeable embellishments for your shoes. 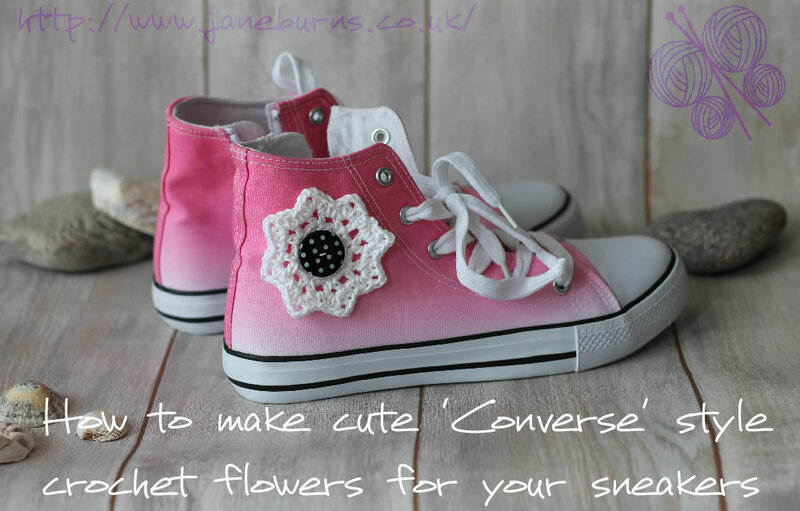 These lovelies simply button onto your existing shoes, so when you fancy a change of style you simply button on another crochet cutie. These little flowers are quick and simple to make and the tutorial will guide you through the steps with a few pointers. Need a closer look at the action? Click in the image for a close up view. 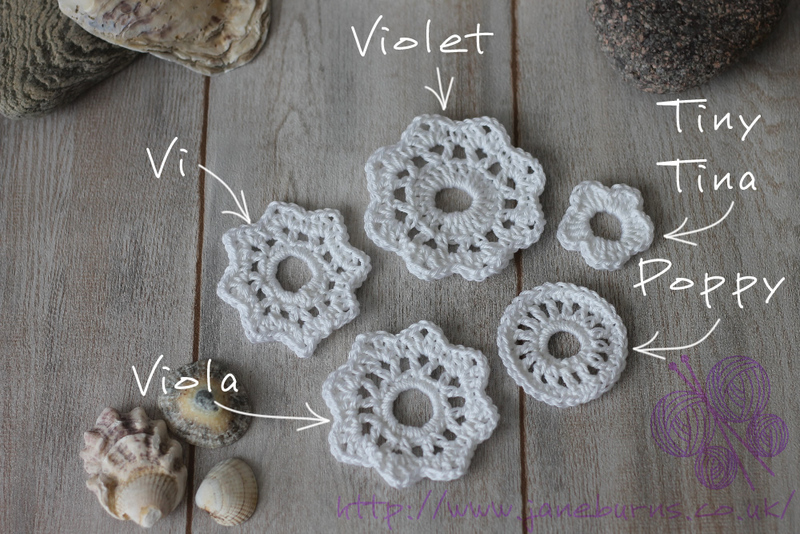 By the way, this tutorial is written in UK Crochet Terms. For those of you just looking for the concise pattern, it is at the bottom of the post. Recently whilst perusing the boards over on Pinterest, I stumbled across a pin titled ‘Disappearing loop cast on’; I had never heard of this method. Always keen to learn new tricks I started grokking this cast on. 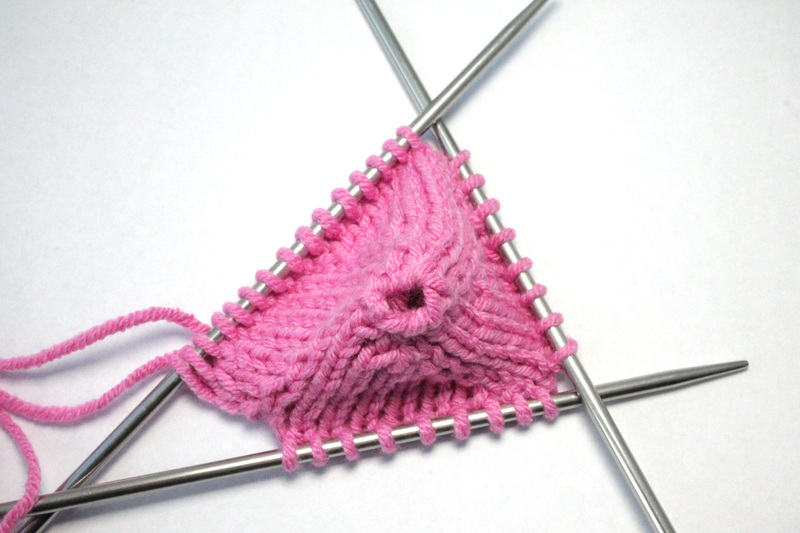 The pin took me to the TECHknitting website, where there is a good step by step tutorial. However I find following diagrams very hard work and painstakingly slow. I learn best through demonstration, in just a few clicks I found this great video from Laura Nelkin and this had me converted to the disappearing loop cast on in just a couple of minutes. For those of you familiar with the provisional cast on, you will soon realise just how similar the disappearing loop cast on is. Rather than casting on over waste yarn you are casting stitches on over a loop of your working yarn. I have worked a couple of samples to show you the difference. Originally I cast on 8sts over three dpn’s, joined into the round and worked an increase round every other round. Next, I used the disappearing loop cast on. 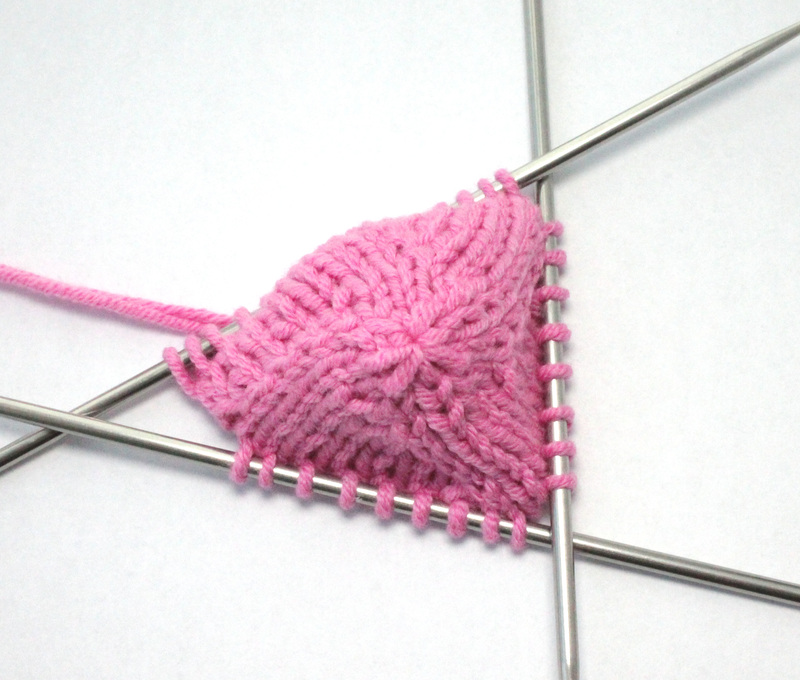 I cast on the same number of stitches and worked the rounds as I did the sample before. 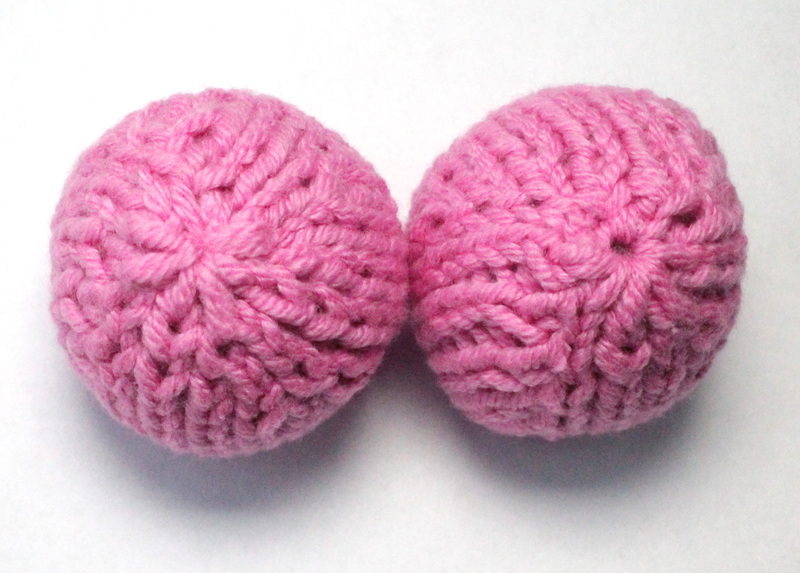 I took both samples off the needles and stuffed them so you could see what they look like ‘finished’. I closed the traditional cast on sample with a running thread through the cast on stitches and pulled tight to close and secured on the wrong side. The disappearing loop needed nothing more than securing on the wrong side. The examples were worked in the most unforgiving of yarns, cotton, imagine how invisible this would be worked in wool! Rowena, this pretty cable Kilt cape is a delight to knit, worked in Rowan All Seasons Chunky yarn, it knits up super quick. With its kilt strap fastening it is very on trend this season. Rowena appears in issue 75 of Let’s Knit magazine which goes on sale on 20th December. You can download the magazine here via the Let’s Knit App.